John Ronald Reuel Tolkien (1892-1973) was born in Bloemfontein (South Africa). His parents were English. His mother decided to leave South Africa and move to England. Tolkien was 3 years old and his brother 2. They settled in Sarehole Mill, near Birminham. He won't never see his father again, because he died the year after his wife left South Africa. When Tolkien was twelve, his mother also died, and he and his brother became orphans, and went under the care of their aunt and the catholic priest Francis Xavier Morgan. Francis was of Spanish origin, and had always helped Tolkien's mother. She had converted to Catholicism. So Tolkien was educated in the Catholic faith. 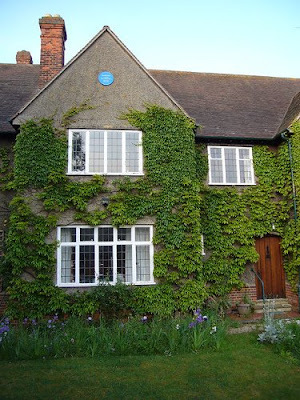 When Tolkien was 16 years old, he met Edith Mary Bratt. She was orphan too, and they fell in love. 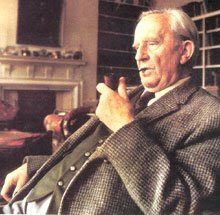 Father Francis didn't want that this relationship continued because he was afraid that Tolkien may not end his studies. 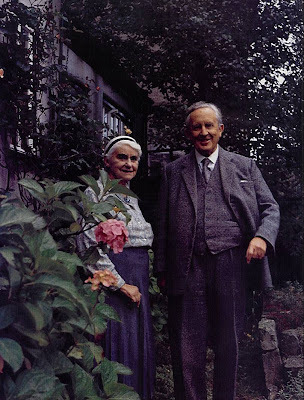 So Tolkien awaited until he was 21 years old, and the evening of his birthday he wrote to Edith telling her about his love and that he wanted to marry with her. She answered that she was going to marry another man, but she had only accepted because she thought that Tolkien had forgot her. So they met together again, Edith converted to Catholicism, and they married in 1916. Their marriage lasted for 55 years and they had 4 children. One of his sons, Christopher, years later ordered and edited some of the works of his father. World War I started. Tolkien fell in various diseases in the war, and they sent him back home. When he was ill, he wrote some of the stories of the Silmarilion. When he was back home, in one of his walks through the country with his wife, Edith began to dance among the flowers. 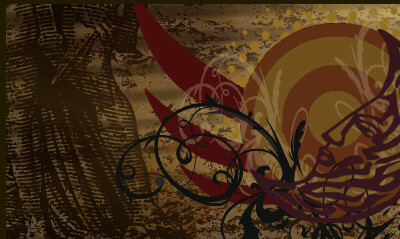 This inspired the story of Beren and Luthien. 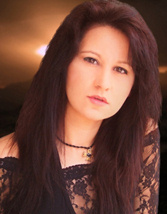 So Tolkien often called his wife "my Luthien". Tolkien became a teacher. He met other intellectuals in Oxford, and created the discussion group called "The Inklings", where Tolkien and his friends read their stories together, criticizing and analyzing them. During these years, he wrote "The Hobbit". C.S. Lewis (the author of The Chronicles Of Narnia) encouraged Tolkien to bring his book to an editor. 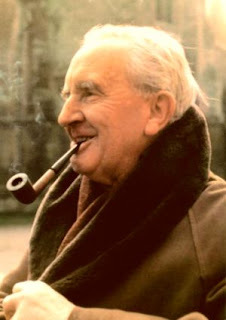 "The Hobbit" was published in 1937, and was so successful that they asked him to write a sequel. So Tolkien wrote "The Lord Of The Rings". The 30 years after that, he was completely devoted to write. In the year 1945, the University of Oxford gave him the Merton Professor of English Language and Literature for his philology works (not for his novels). To talk about Tolkien is talking about one of the greatest writers of the fantasy genre. His sceneries are the result of his memories, of moments of his life. As a curiosity, one of his most charismatic characters (Gandalf), is based in a doctor that cured him from the bite of a spider when he was a little child. Tolkien was also an erudite of languages, and created his own ones. Creating sceneries, characters, and lineages that can only emerge from the mind of a genius, Tolkien became a timeless writer. This is too lovely for words. I must add you to my special list. Thank you David and come soon! always planned on reading a little on tolien the man himself, today i finally did, and it was a nic earticle and video, keep up the good work! I'm glad Oscar that you have come here to read this. Tolkien himself had a life that's worth a novel.